On Sunday, February 18, we began an Adult Forum series on prayer. Author Sybil MacBeth was our first speaker and her presentation drew all participants into a new way of praying… Praying in Color. Sybil’s story is simple. When multiple friends and family members received ugly and scary medical diagnoses, Sybil found herself exhausted by the words of her prayers and stymied by a lack of focus. One summer day, she retreated to her back porch for a session of mindless doodling with a basket of her favorite colored markers. She drew a shape, put the name of a friend inside, and added lines and color. She drew another shape with another name and added detail and color. When the page was covered with designs and names, Sybil realized she had prayed. The action of drawing was a wordless offering of friends and family into the care of God. 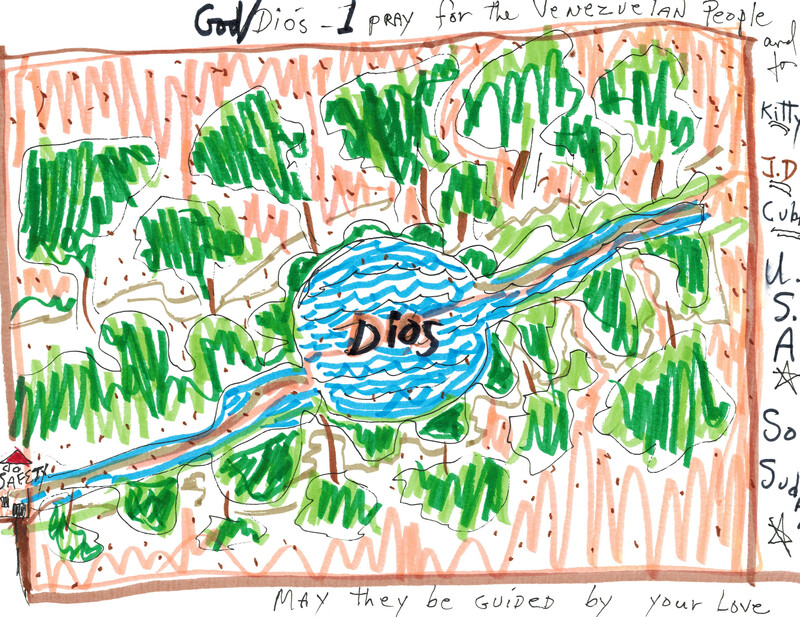 The page of drawings became a visual reminder to pray. This was the beginning of Praying in Color. As an artist I found the experience of praying in color with parishioners to be nothing less than joyful, each of us expressing our thoughts and concerns by doodling on paper. It was a new way of expressing our thoughts and concerns for those we love, for our country and the world, and is an exercise of prayer that is perfect for the young and old alike. Thank you Sybil for enlarging our capacity to pray. Click here and here to see more of our prayers in color.